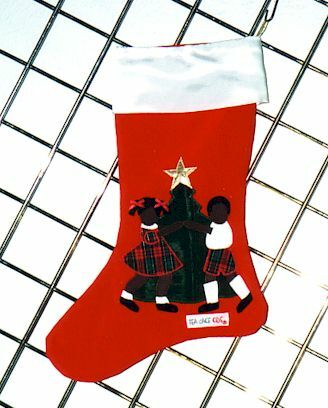 Red cotton velvet Christmas stocking, with White satin top. Choose girl, boy or both. Perfect item to add a touch of cutural to your christmas.